A gazebo can be built close to the swimming pool to use as a dressing room. You can pull the curtain closed for extra privacy and keep a chest or cupboard in there with towels and spare swimmers – and even clothes. It makes a good place to sit in the shade as well as somewhere to store pool toys. A gazebo is the ideal cover for an outdoor hot tub or spa. Again, some of the curtains can be closed to give you privacy or protection from cool winds or a shower. Having a hot tub under a gazebo is the ultimate in luxurious relaxation. You’ll want it fairly close to the house for convenience. A gazebo can be used for a wedding. With the costs of venues soaring and casual weddings becoming more popular, you can probably recoup the cost of the gazebo with just one wedding. You could even rent it out to friends for their weddings. It can also be used for extra space and shelter to serve nibbles and drinks for a garden party. So you can see how useful a gazebo will be to you and how many different styles there are. Pick one to match with the use you are most likely to put it to. It will also be an attractive addition to your garden and increase the perceived value of your home, should you decide to sell. A gazebo that is fitted with glass doors or mesh to keep out insects will be most useful for evening use such as parties and weddings. 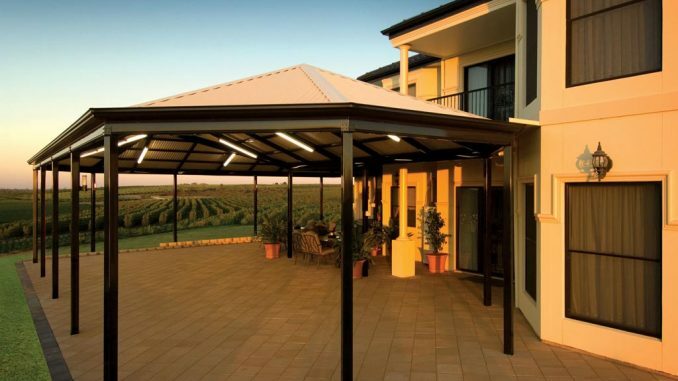 It offers you an affordable way to extend your living area with an outdoor space that has some protection from inclement weather. The furniture in the gazebo should be weatherproof unless the gazebo is fully enclosed. Add some attractive potted plants or plant a small garden nearby to make the area even more attractive.